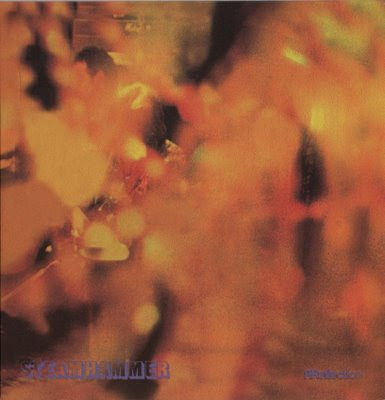 Steamhammer started out as a blues-rock band in Worthing, Sussex, but gradually developed into a more heavy progressive style. Their debut Steamhammer included the self-penned Junior's Wailing, which was later covered by Status Quo. Indeed it became an important part of Status Quo's live act as they evolved into a 12-bar boogie band. Pugh and Quittenton assisted Rod Stewart on his first album and Quittenton stayed with Stewart co-writing Maggie May with him and playing mandolin on the million-selling disc. When Steve Jolliffe (ex-Tangerine Dream) joined, their music on Steamhammer Mk II became jazzier and all the better for his harpsichord parts. At their best, as they proved on cuts like Supposed To Be Free, Turn Around, Passing Through, Windmill and Autumn Song, they were capable of melodic, progressive rock with some pleasant woodwind. Often, though, on tracks like Johnny Carl Morten and 6/8 For Amiran, they over-utilised brass and ended up with some very messy arrangements. They recorded a further album to these listed above, Speech, which was only released in Germany (Brain 1009, 1972) and was their magnum opus full of superb guitar work from a later member Martin Pugh. Brain also reissued Mountains and Speech as a double package, This Is Steamhammer (Brain 2/1043) in 1974. Certainly a band worth investigating.